Gold and silver experienced much-needed gains following the Fed hike, but lost them due to a stronger US dollar and a down equities market on Friday morning. Both gold and silver climbed on Thursday (June 14), a day after the US Federal Reserve announced plans to increase interest rates to 2 percent. However, the precious metals dipped significantly on Friday (June 15) after the US-China trade war shook the equity markets and the US dollar rebounded. As of 10:35 a.m. EST on Friday, the yellow metal was down 1.57 percent, trading at US$1,279.30 per ounce, below the crucial US$1,300 mark. As for the white metal, it plummeted 2.95 percent, trading at US$16.63 per ounce as of 10:40 a.m. EST; it broke the US$17 mark in the previous session. As mentioned, the metals dropped on the back of a stronger US dollar and a down equity market brought on by fresh US-China trade war concerns. “The dollar has been waking up to some renewed strength and that’s largely been held onto today,” said Jonathan Butler, commodities analyst at Mitsubishi (TSE:8058) in London. Both platinum and palladium were also down for the week, trading at US$885 per ounce and US$984 per ounce, respectively, as of 12:35 p.m. EST. Our top precious metals stories this week dealt with the Fed’s interest rate hike and its effect on both gold and silver. Another highlight was our interview with #DisruptMining 2018 winner Acoustic Zoom. 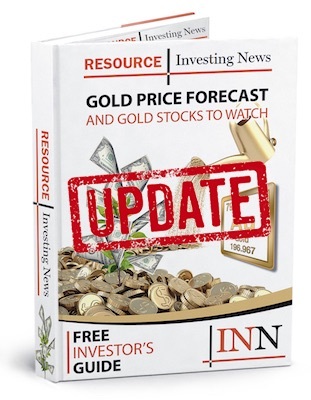 “Gold has shown little response, so far, to the Fed’s rate hike, but the story remains to be written,” Brien Lundin, president and CEO of Jefferson Financial, said about the yellow metal’s reaction to the Fed hike. We spoke with Professor Jacques Yves Guigné, CEO and chief scientist at Acoustic Zoom, which won Goldcorp’s (TSX:G,NYSE:GG) second annual #DisruptMining contest in March at the Prospectors and Developers Association of Canada conference. After closing a deal for US$1 million with Goldcorp last week, Guigné spoke about the mining industry and how Acoustic Zoom’s technology could change it for the better. “In mining, you’re dealing with vertical features related to mineralization, veins and dikes and distributed kind of structures, bulks, micro-fissures, pockets that are discontinuous or bodies that are not necessarily simple to resolve but chaotic — and that’s what we can capture,” Guigné said. Also making news this week, the Russian Federal Securities Board and Ministry of Defense approved a mine exploration permit for British company Eurasia Mining (LSE:EUA) and its planned Monchetundra platinum project. “Discussions are ongoing with a wide range of potential stakeholders regarding the projects route to commercial development, including continuing discussions on off-take agreements, refinery contracts, and discussion with our engineering procurement construction and finance partner Sinosteel,” said Christian Schaffalitzky, executive chairman and managing director at the company. In addition, the World Gold Council has responded to the yellow metal’s declining price by preparing a new fund that will charge less than any other gold ETF. It will vie for assets with 35 other precious metals exchange-traded products in the US. “Despite gold’s recent slump amid higher interest rates, enthusiasm for the commodity as both a trading instrument and a store of value has been strong this year. Trading in GLD soared during February’s volatility as investors sought to bet on, or hedge against, markets heading south,” said Bloomberg.